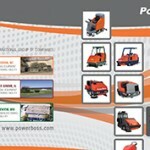 Since 1985 PowerBoss has been manufacturing a full line of rugged industrial cleaning equipment in Pingree Grove, Il. Innovative design features and cost effective reliable operation have proven to be why our customers continue to choose PowerBoss sweepers and scrubbers. Worldwide factory trained service and parts distributors provide timely response to keep your PowerBoss units performing in the most demanding environments. 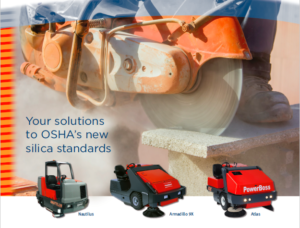 Contact us today and speak with an experienced PowerBoss representative about surveying your facility for a free product demonstration and to learn more about our industrial floor scrubber, sweeper and other cleaning equipment inventory. 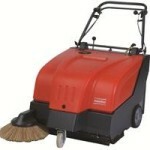 Cost-effective and reliable, our rider floor sweepers give years of dependable, consistent service. These machines meet the most rigorous of cleaning requirements. The perfect combination of manufacturing expertise, quality materials and market-driven needs, our rider floor sweepers make cleaning as productive and uncomplicated as possible. 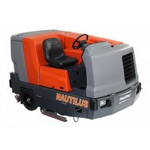 Our high performance walk behind floor sweepers feature powerful dust filters, aggressive filter shakers and robust, heavy steel frames made for industrial applications. 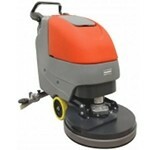 Easy to operate and maneuver, the industrial floor sweepers in our inventory simplify the cleaning process. An ideal solution for heavy-duty cleaning, our rider floor scrubbers are compact workhorses that help you clean faster and more efficiently. Ergonomic design means increased operator comfort, less fatigue and more productivity. Our innovative walk-behind scrubber series features new “green” features and advanced technologies that will change the way you clean floors. Increased operator comfort, unparalleled scrubbing performance and intuitive controls are just some of the many benefits you get with these rugged cleaning machines. 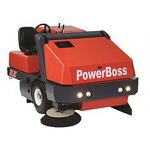 The ultimate solution in efficiency, Powerboss combination sweeper-scrubbers provide aggressive scrubbing power and sweeping at the same time. 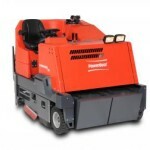 Easy to maneuver and maintain, these high-performance machines effectively and efficiently clean floors in just one pass. 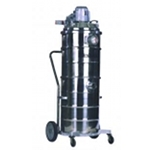 Available in many sizes and configurations, our critical filter vacuums safely trap lead, asbestos, mercury, mold, nuclear waste and other potentially hazardous materials. The safest and most reliable way to collect contaminants, our critical filter vacuums feature rugged designs and innovative filtration systems you can count on. We are proud to offer Multi-Clean high-performance cleaners and degreasers designed for Powerboss floor scrubbers. This full chemical program meets all your industrial cleaning needs. Click here to view and download our full line brochure! 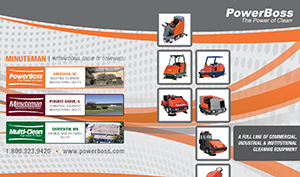 Powerboss serves areas within Aberdeen, NC, Chicago, IL and all areas throughout the United States. To find out more about our industrial floor cleaning machines, get in touch by visiting our contact page and filling out the form, or give us a call at 1-800-323-9420.